Barton-on-Sea is a quiet little coastal village which is best known for its cliff top golf course. Most of its visitors are golfers many of which, however, like to combine golfing with other outdoor activities and visiting interesting places. We will therefore take a closer look at what to do in Barton-on-Sea other than golfing. The site of the present-day Barton-on-Sea is known to have been occupied since prehistory. We know this from a number of archaeological finds such as funerary urns that were discovered in the past century but unfortunately, almost all have been destroyed or lost. Barton-on-Sea also appears in the Domesday Book as Bermintune and Burmintune, referring to two manors that were held by Roger de Montgomerie, 1st Earl of Shrewsbury and William the Conqueror’s friend. By the late 19th century, Barton-on-Sea consisted virtually of two farm estates. At the end of the 19th centuries, the two estates were broken up and sold which led to the development of the present-day village. At the same time, golf began to be played near the present site but the modern Barton-on-Sea golf course was built only in the early 1920s. Go looking for fossils. Barton-on-Sea is also famous for a large number of fossils which can be found in the Barton Beds, grey to brown clays that are exposed in the cliffs of Barton-on-Sea and nearby. So if you are interested in geology, it is worth to take a walk on the coastline and pay attention to the cliffs. Considering that more than 500 different species have been found preserved as fossils, there is a great chance that you will see at least one if you pay close attention. Swimming. Who can resist swimming in the sea? Of course, swimming is an option only if you plan to visit Barton-on-Sea during the summer months. However, it is good to know that you don’t have to leave Barton-on-Sea if you would like to go for a swim. Walking along the coastal path. Considering that Barton-on-Sea offers breathtaking views of the Isle of Wight and the Needles, it would be a shame not to take a couple of hours for a walk along the coastal path to enjoy the spectacular views. Paragliding. The cliffs at Barton-on-Sea are also a popular paragliders’ destination. 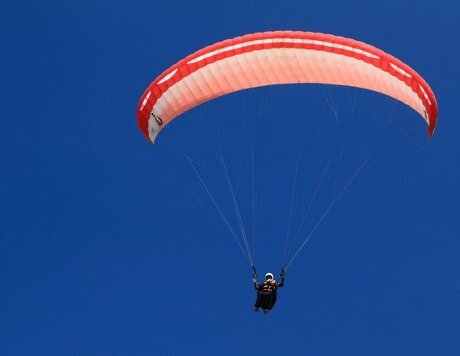 So if you like extreme sports or would like try something new and exciting, you should perhaps consider paragliding from the cliffs at Barton-on-Sea.